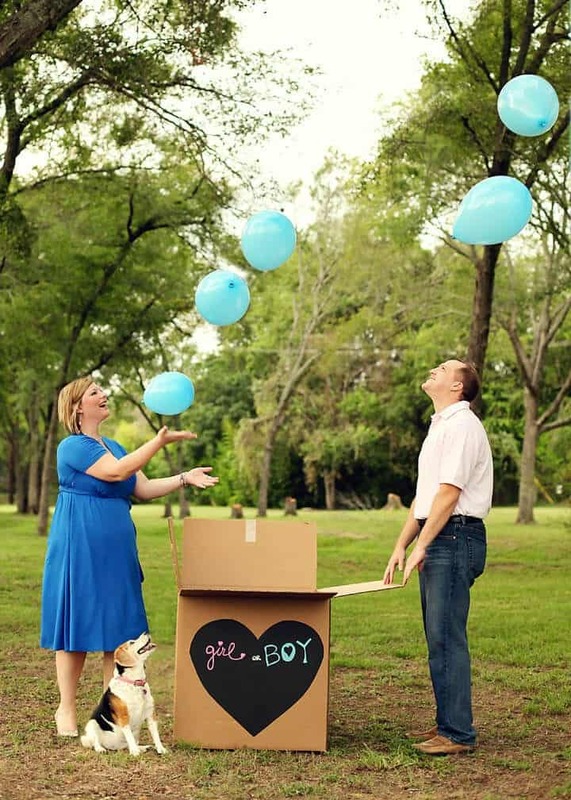 Gender reveal parties and baby announcements are growing ever popular. 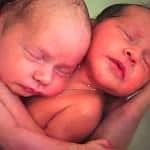 While they may seem like too much work (especially if new baby is #2 or #3! 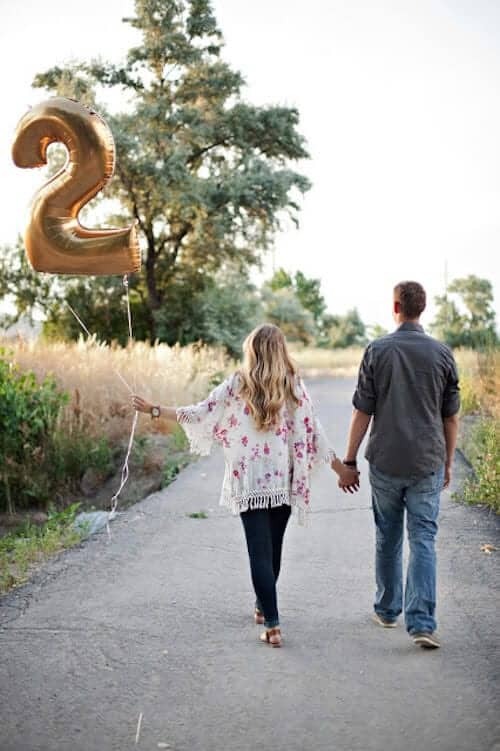 ), you can still share in the excitement of sharing your upcoming baby boy or girl with family and friends with these exciting ideas. 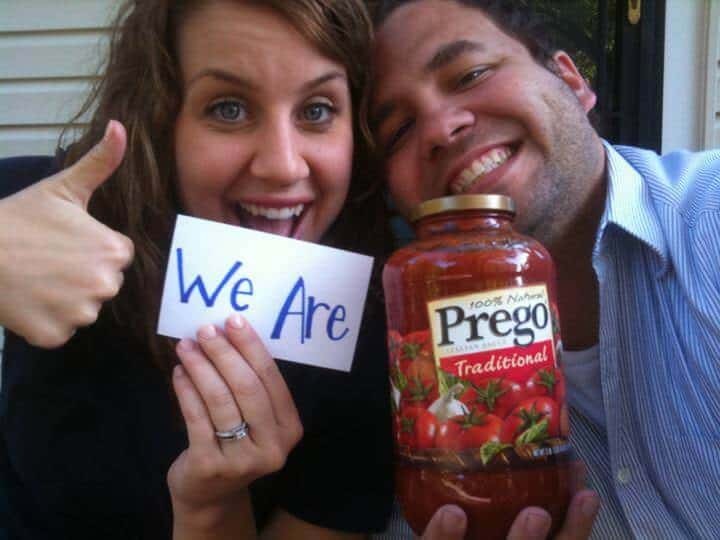 We’ve got 15 exciting ways to announce your pregnancy to family and friends. With a little paint, white T-shirt and handiwork, you can send an awesome card to your loved ones. You can use your own hands, your partner’s or even your kids! Your mother may have told you it’s impolite to snap and pop your gum, but this is one occasion that’s different. 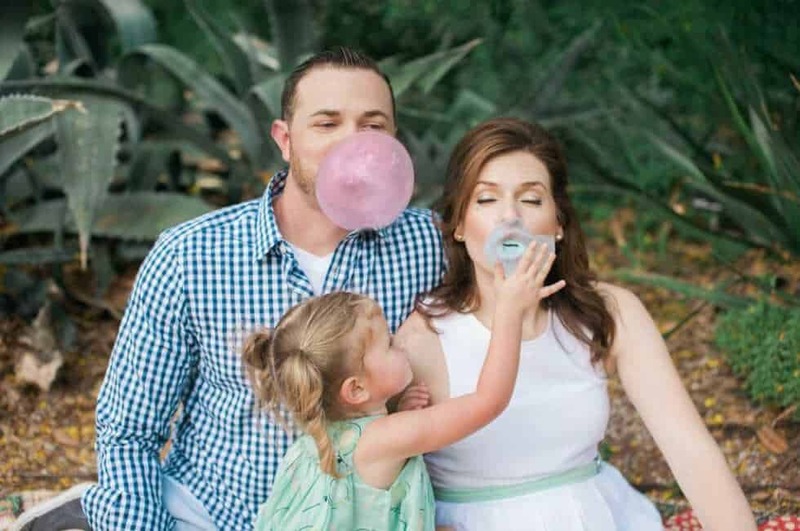 You and your partner each chew a piece of pink or blue gum and be sure to leave the last bubble standing to show off your baby’s gender! You don’t have to ask a pregnant woman twice to eat ice cream! 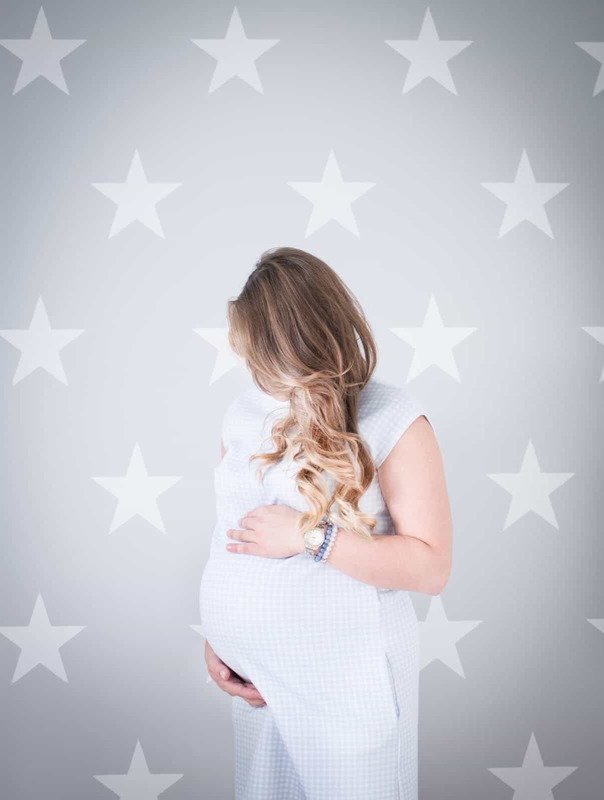 With some creative photography, let your sweet tooth show off your future little one. 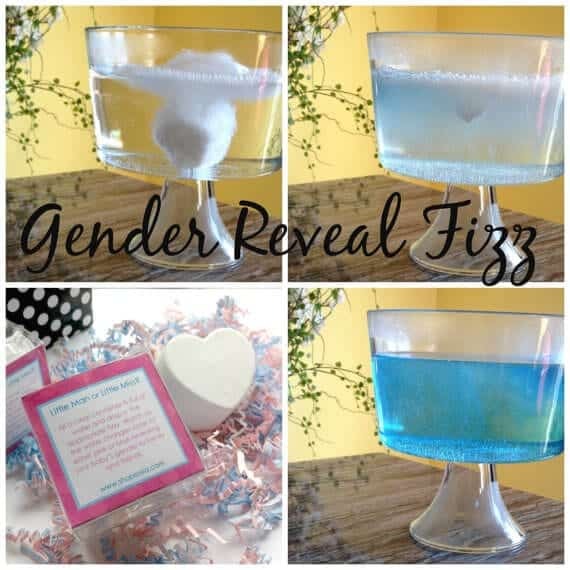 Put those bath bombs that you’ve been saving to work by using them to reveal your baby’s gender. It may not be the relaxing bath you were thinking, but they will be sure to tickle your friends! You’ll need help for this one. 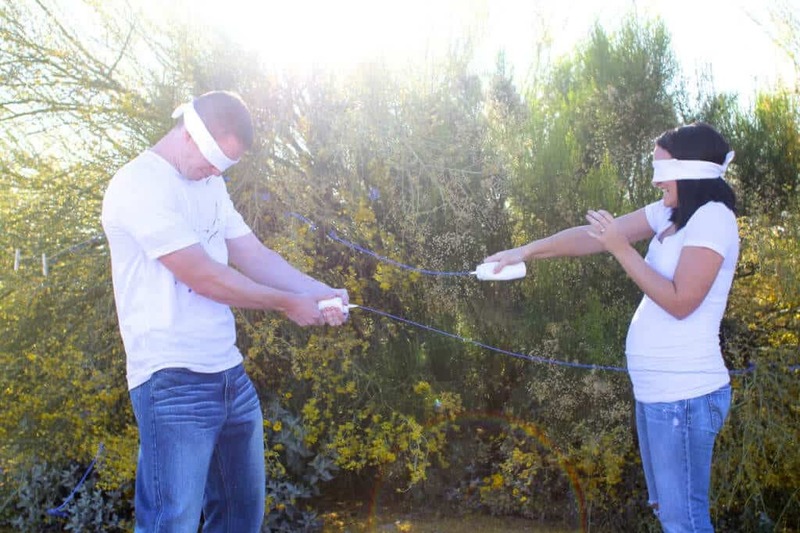 Ask a family member or friend you trust who won’t spill the beans early, to blindfold you and your partner. Then go to town with a bottle of blue or pink paint. Remove your blindfolds for the great surprise! 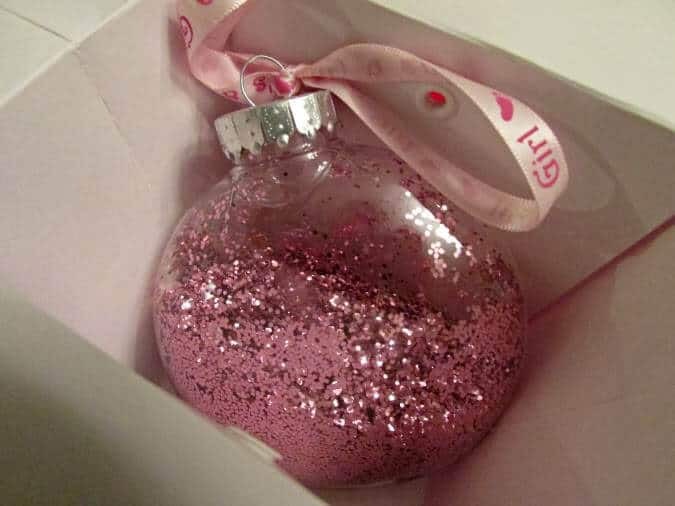 Use clear ornaments and fill them with blue or pink glitter. Then give them as small gifts or stocking stuffers to family at the holidays for some extra cheer! Ask your doctor not to tell you the gender of your baby, but to clearly mark it on your ultrasound picture. Then, take your photo to a department store where you’ll pick out 2 outfits, 1 boy and 1 girl. Ask the clerk to ring you up for whichever outfit matches your ultrasound picture. No peeking at the receipt! 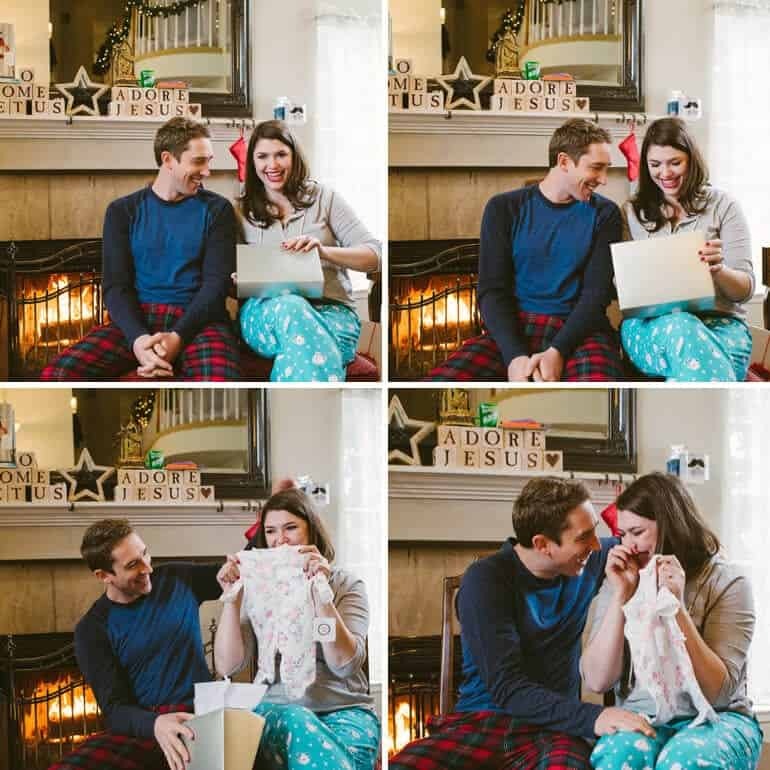 Then pick a special time to open your package, either alone with your partner or with family and friends. Be sure to have someone catch your reaction on film! Fill a box with blue or pink balloons (be sure to fill them with helium). When the time’s right, open the box and let the balloons take flight! Nothing is as sweet as baby feet. 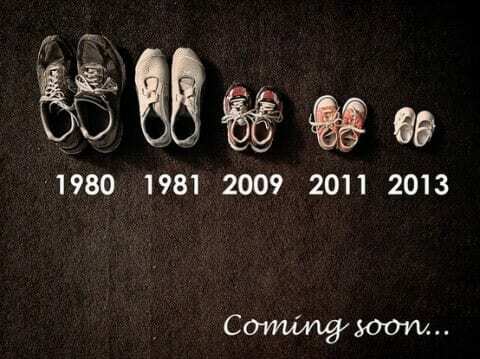 Using your family’s shoes, show a new member is being added to your brood with a pair of precious baby booties. Who doesn’t love lotto scratchers? 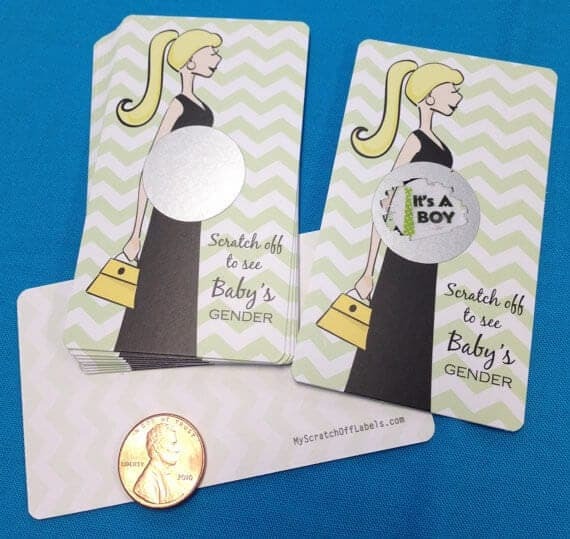 Everyone’s a winner with these genius gender announcement cards! Most of the time silly string is a pain to clean up, but you won’t mind this time! 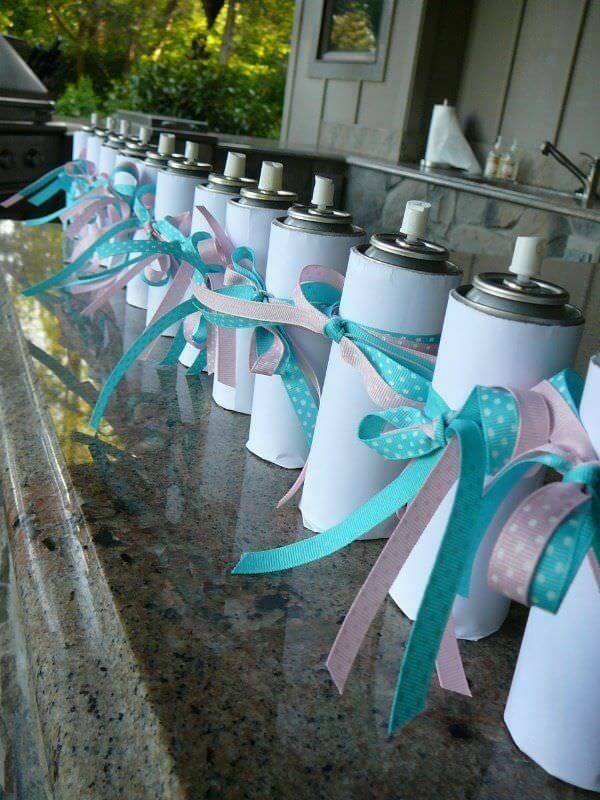 Your guests will love the excitement only a good can of silly string can bring when they find out your baby’s gender! 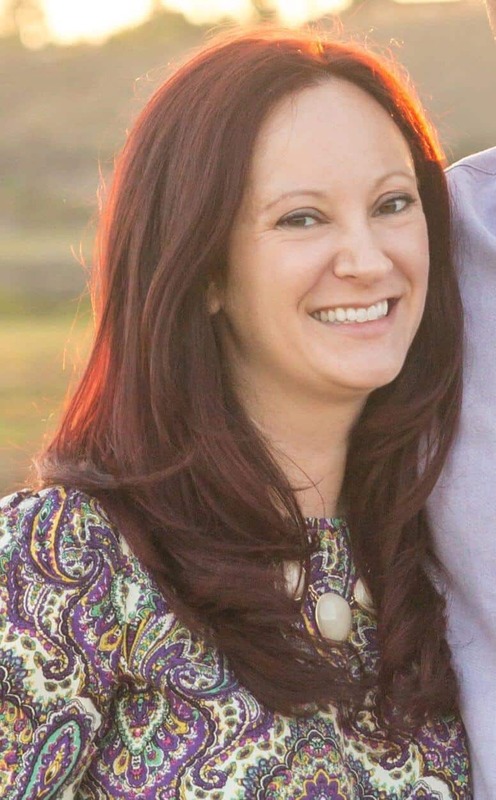 Big changes are in store for big sister or brother. 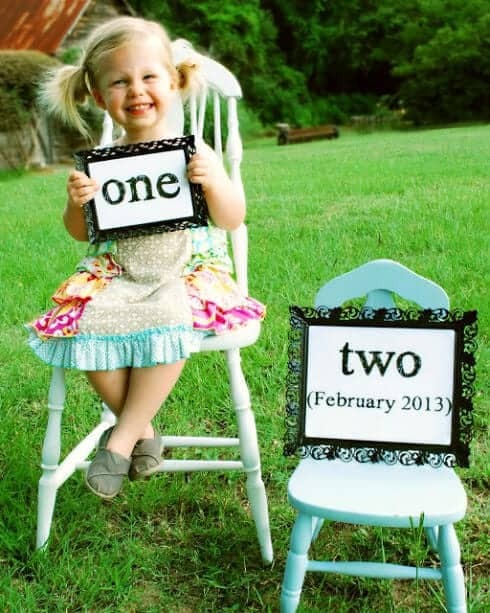 Let them do the telling with a creative outfit or sign that will make them feel just as special. Now’s the perfect time to send the ultimate holiday greeting card. 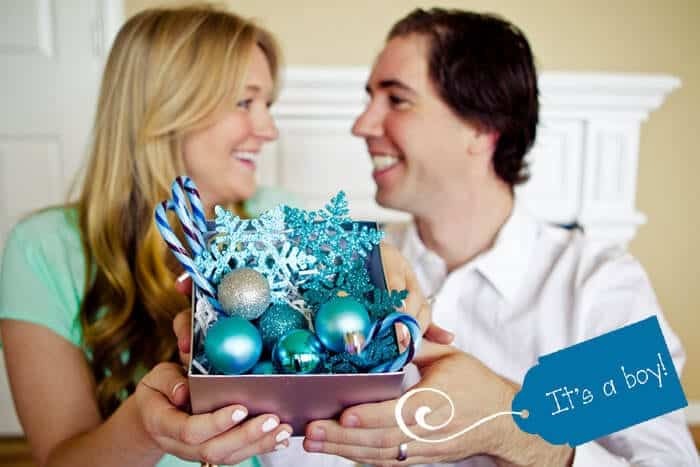 Use pink or blue decorations to show everyone the gender of your special delivery! 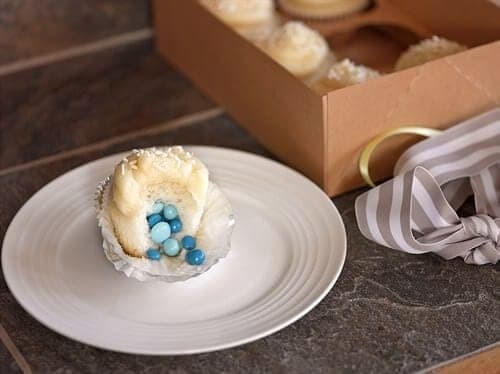 Have family and friends over for a dessert party and bake your cupcakes or cake with a special surprise in the middle! Use colored M&M’s or frosting to get your message across. It’s like a piñata for adults! 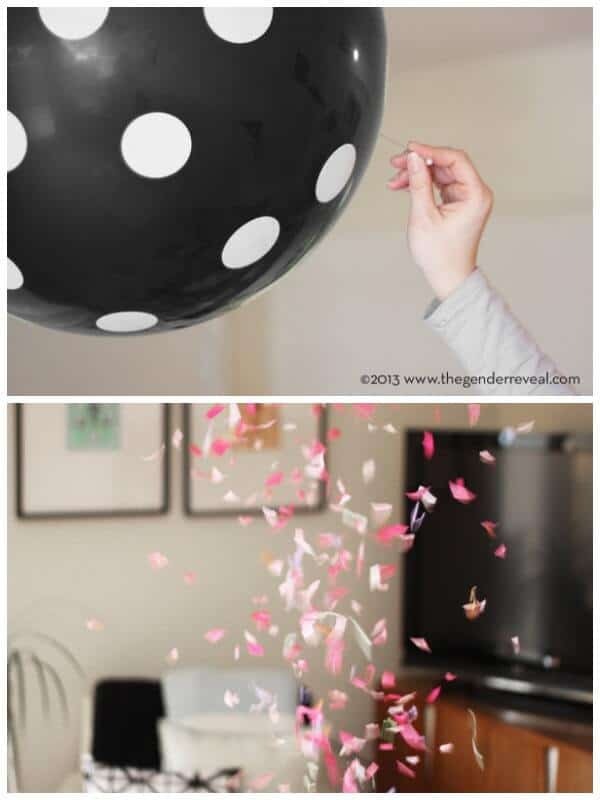 Fill a large balloon with pink or blue confetti and pop!